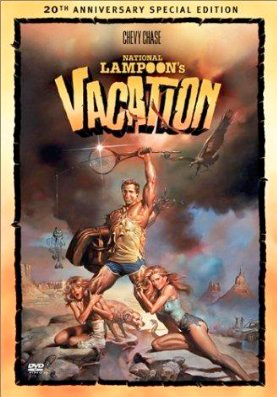 Chevy Chase and Beverly D'Angelo — who played the calamity-magnet parents in National Lampoon's Vacation and its three sequels — will reprise their roles in a new ad campaign for HomeAway vacation rentals to be launched during the Superbowl on Feb. 7. "To this day, people ask me, 'When is the next Vacation movie?" says Chase, currently starring in NBC's Community. "So I'm sure everyone will get a kick out of seeing the Griswolds and their misadventures once again." Adds D'Angelo: "Clark and Ellen have one of the most enduring marriages ever to come out of Hollywood. I am thrilled that HomeAway is reuniting Chevy and me." The campaign will also feature an exact replica of the film's iconic "Wagon Queen Family Truckster" — minus the wear and tear it receives in the course of the classic comedy.